Highlight: Excessive amounts of photo booth. 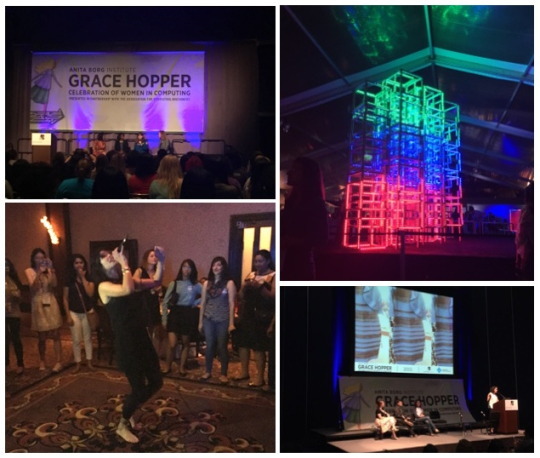 The actual conference and the amazing events outside of the conference are what Grace Hopper so rewarding and fun. Last year was my first time attending Grace Hopper, and it was incredible. But this year didn’t live up to my expectations. It’s hard to describe why, but this write-up by my friend Denzil describes it pretty well. Panel with women leaders from NASA: This should have had a more clickbait title, a lot of people didn’t realize how awesome it would be from its title. Lowlights: lots of statistics like these. A lot of talks couldn’t hit that sweet spot for me when it came to the technical level of the content. This is due to the scale of the conference: there are students, new grad engineers, industry professionals, academics. How can you create content that everyone will understand and follow? Twitter negativity: This isn’t just a problem with the conference. It seems like any event or action will cause someone on twitter to tweet something mean at or about you. 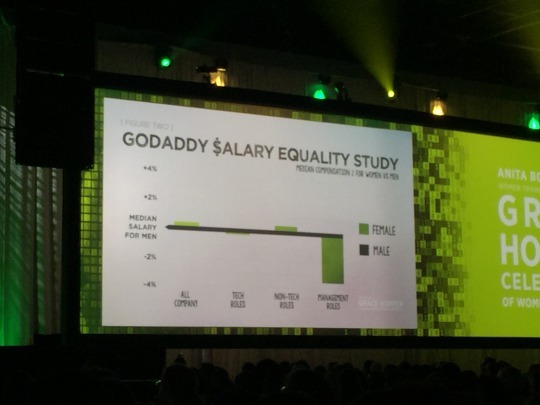 I saw this on twitter during Brianna Wu’s talk and during the keynote where the GoDaddy CEO spoke. I hope that 2015 is just a blip for me, and that GHC 2016 will be the best one yet.